It is as if the light ray that flows through space and time has been somehow trapped, its forward motion locked into a extremely tiny circle. And when the opposite process takes place, in which a particle and antiparticle meet and mutually annihilate, this involves a kind of freeing of the light trapped in each, enabling it to return to its original form and go on its way. How these processes can happen is the big question in which the search for the Higgs particle has been playing a key part. One approach to the question has been taken by Roger Penrose. It is a mathematical one, looking at the meaning of some of the existing mathematics in one of the building blocks of modern physics, the Dirac equation. Paul Dirac himself, brought up by an authoritarian father, was a man of very few words. Graham Farmelo’s biography, The Strangest Man, tells how in childhood Dirac’s father, who had moved to Bristol from Geneva, insisted that his son speak only French to him at mealtimes, which caused great stress. ‘Since I found that I couldn’t express myself in French, it was better for me to stay silent,’ said Dirac in later life. His deeper feelings came out instead in his mathematics, and in his belief in mathematical beauty. If a piece of scientific theory has mathematical beauty, he said, then it has to be true. 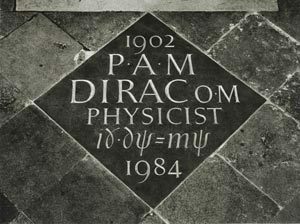 Dirac’s equation, elegant and today inscribed on the wall of Westminster Abbey, is a miracle of compression. A very few symbols between them bring together quantum theory and relativity for the electron. It looks so compact that it is difficult to believe that so few symbols could contain so much, but indeed its situation is a bit like that of some modern device such as a mobile phone. It may look simple from the outside, but when we open up the case we see all kinds of complex material within. 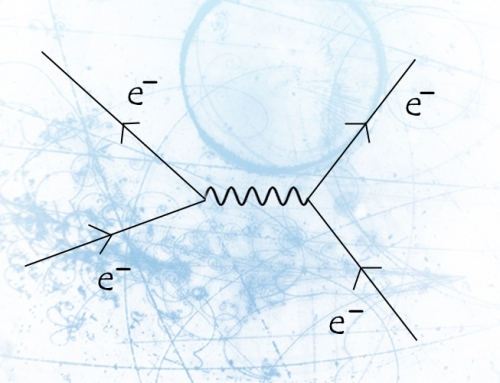 The Dirac equation can in fact be unpacked in a variety of ways. 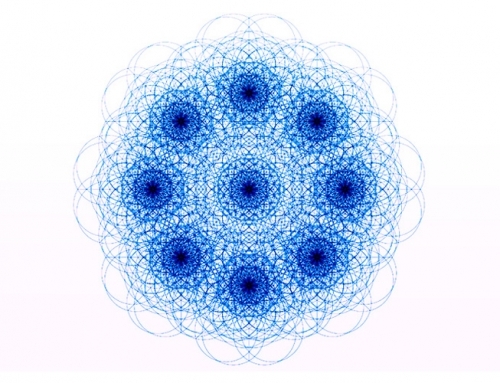 Roger Penrose’s approach is to note that although the equation represents a single electron, it can also be seen as carrying two separate mathematical components, bundled up so well together that you might never notice their individual existence. Each of these two hidden components in the Dirac equation represents a motion of the electron and there are two unusual features about them. 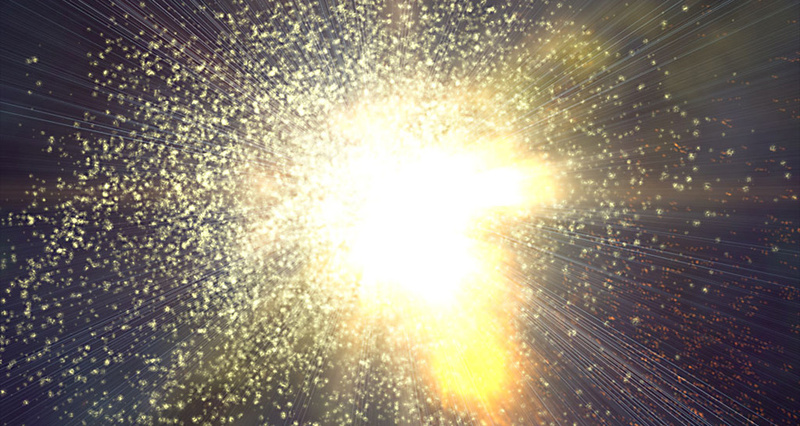 First, the motion represented by each is a movement at the speed of light, made by something that is massless. And second, there is difference in direction between them, so that together they make a kind of zig-zag motion. In fact, he nicknames them ‘zig’ and ‘zag’. 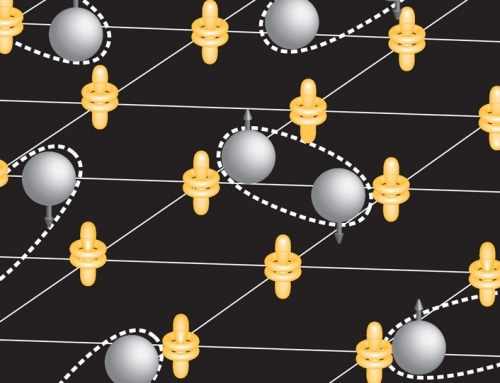 Very small and very fast zigs and zags, every one of them at the speed of light, aggregate to give a slower motion forward for the electron. It is like a ship heading into the wind and tacking to left and to right to make progress. Some of the motion cancels out some of the motion build up as a slower forward progress. Somehow the two underlying massless components that are concealed in the Dirac equation aggregate together and produce an effect that from a distance we see as the forward motion of a mass-possessing electron. And what is the nature of the interaction between the massless zig and the massless zag? Penrose notes that the mathematics of the Dirac equation show that this is none other than the Higgs field, the source that has been postulated as the origin of mass and which as a kind of by-product can give us the Higgs particle. 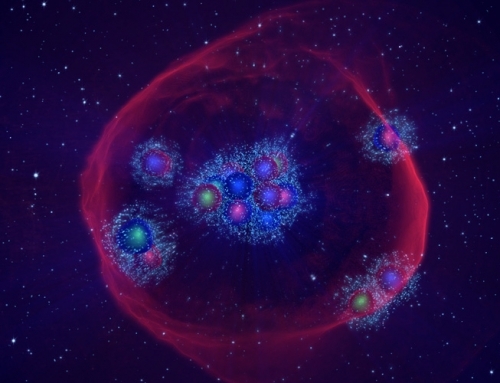 In other words, there is a mechanism which somehow binds massless light-energy into mass-possessing matter, and this process – called the Higgs mechanism – is what has now been validated by the discovery of one of its products, the Higgs particle. 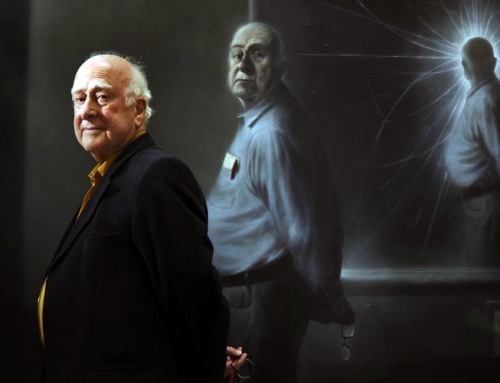 The approach that Peter Higgs and others took did not begin with the Dirac equation, but with an even older concept, going back to a little-understood Norwegian who died over a century ago.